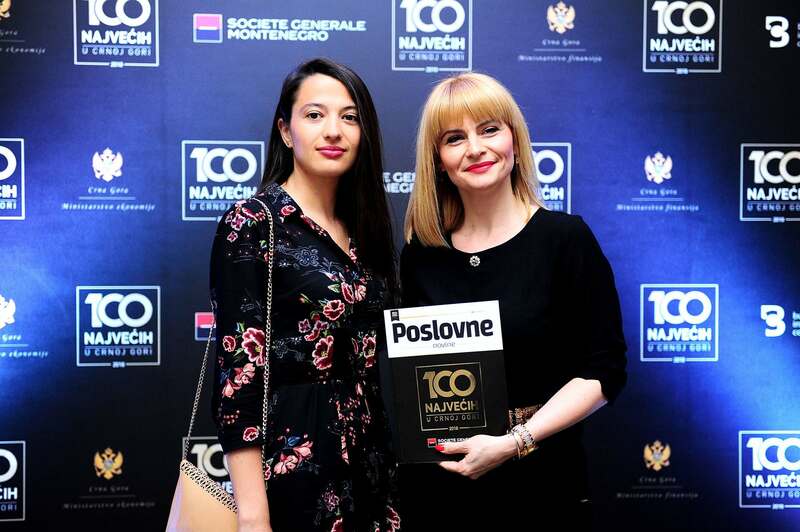 The project “Top 100” is being realized for the first time in Montenegro. 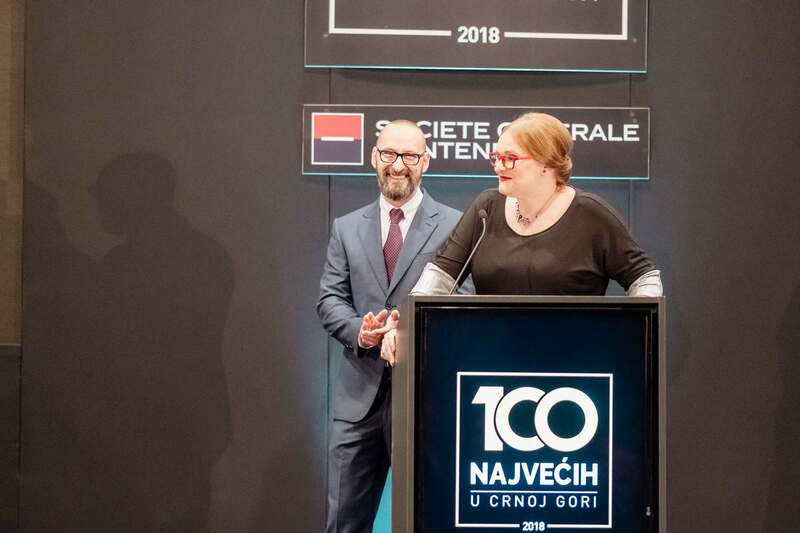 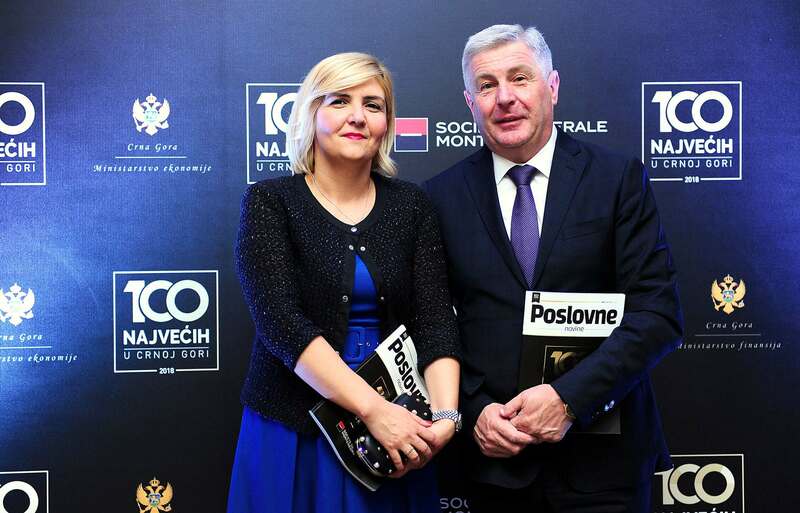 The most successful companies in Montenegro will be presented in a unique, special publication: “Poslovne novine-Top 100 in Montenegro”, which will be introduced to the public at a gala ceremony in May. 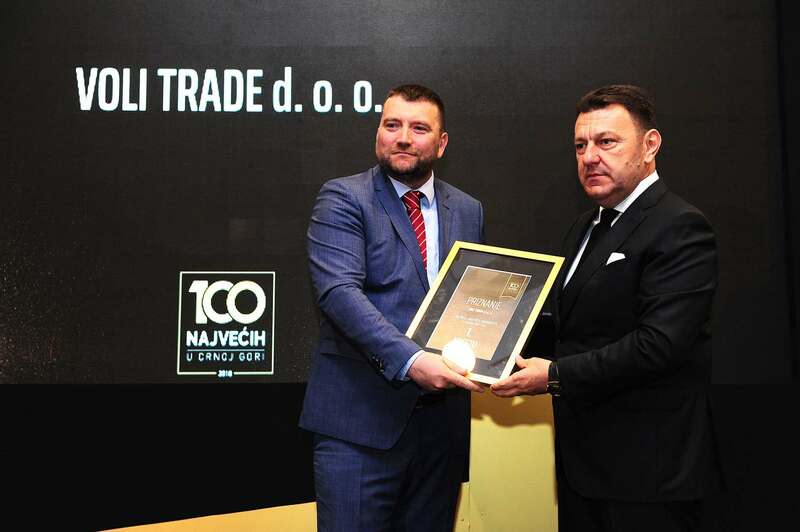 It will be an opportunity to give awards to top-ranked companies, based on commendable results they accomplished in previous year. 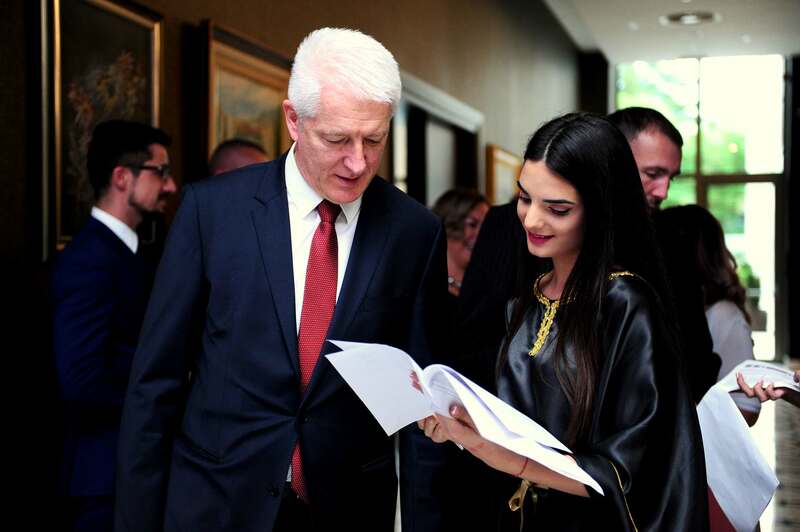 The gala ceremony will bring together numerous business people, high officials and representatives of the diplomatic corps. 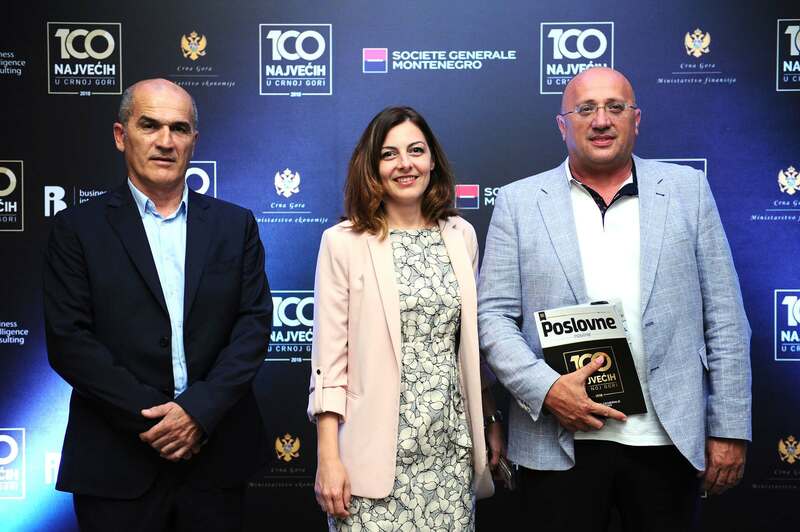 The aim of the “Top 100 in Montenegro” project is to contribute to the development and strengthening of the positive business climate through promotion of positive business practice, the largest and the most profitable companies, as well as biggest employers. 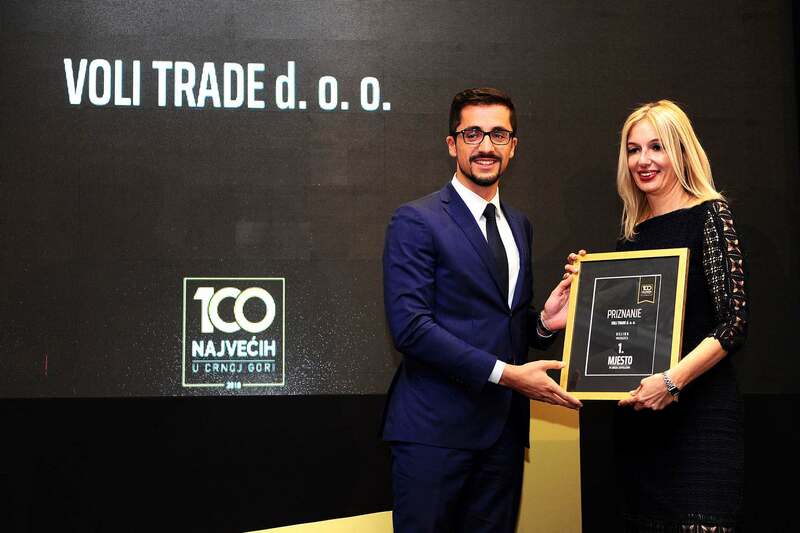 This indicator will also facilitate better recognition and promotion of those Montenegrin companies that make use of their right to present themselves to the clients, business partners and social community with the stamp “Top 100 in Montenegro” and thus show that they belong to the group of the most important companies in Montenegro. 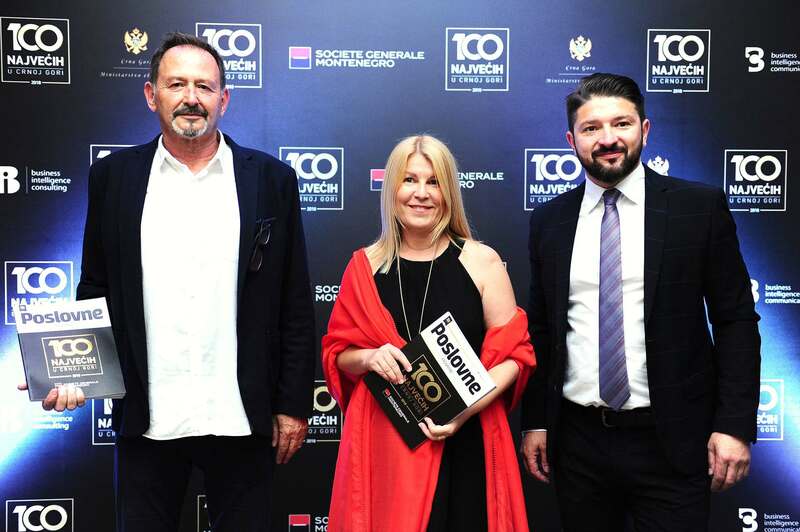 The unique selection of “Top 100 in B&H” has traditionally been held in Bosnia and Herzegovina for already 30 years. 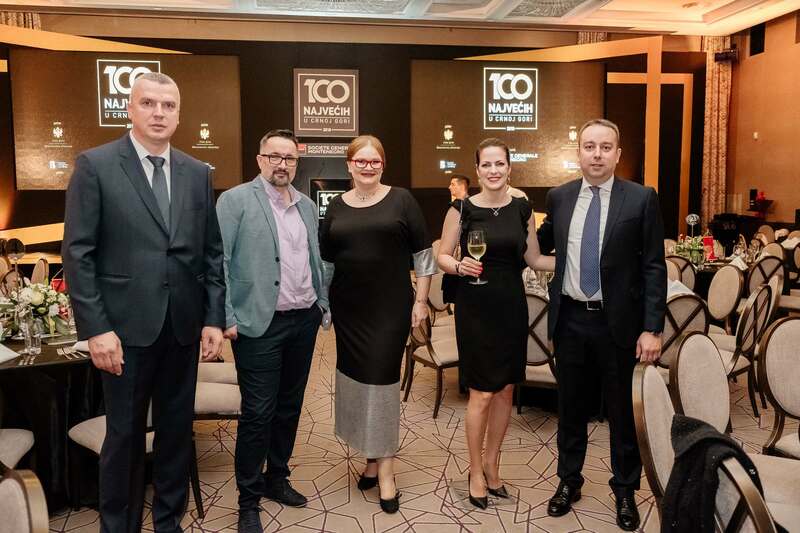 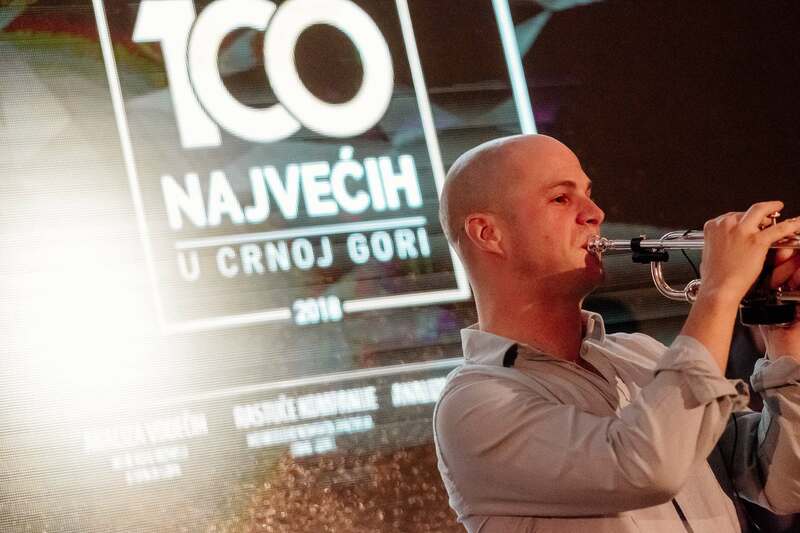 BI Communication is now expanding this success story even further, by organizing the Project “Top 100 in Montenegro “, based on Franchise Agreement. 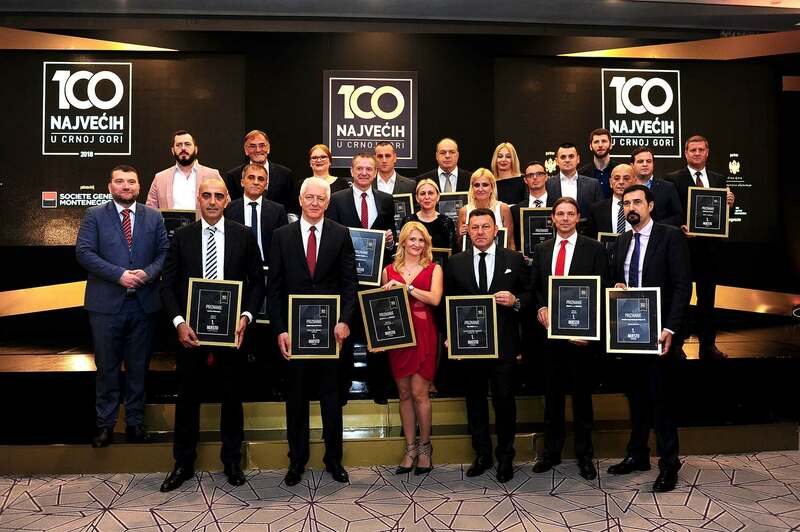 All companies that filed their 2018 balance sheets are ranked. 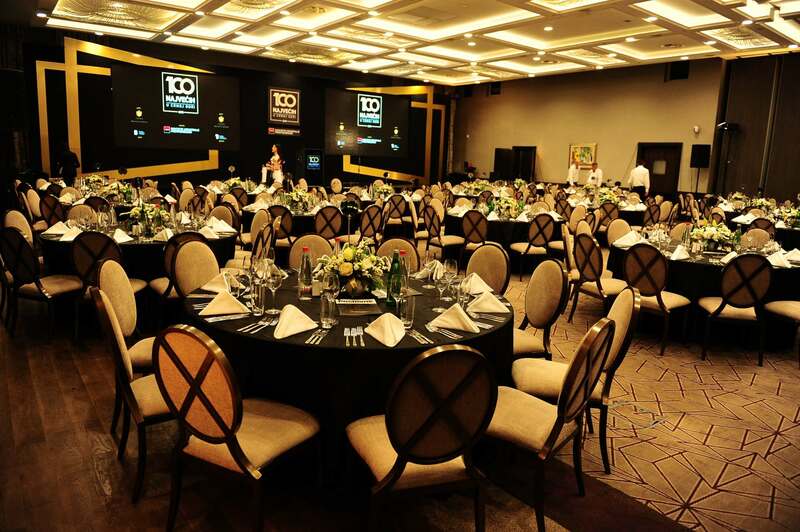 They are ranked by their size: large, medium-sized, small and micro companies. 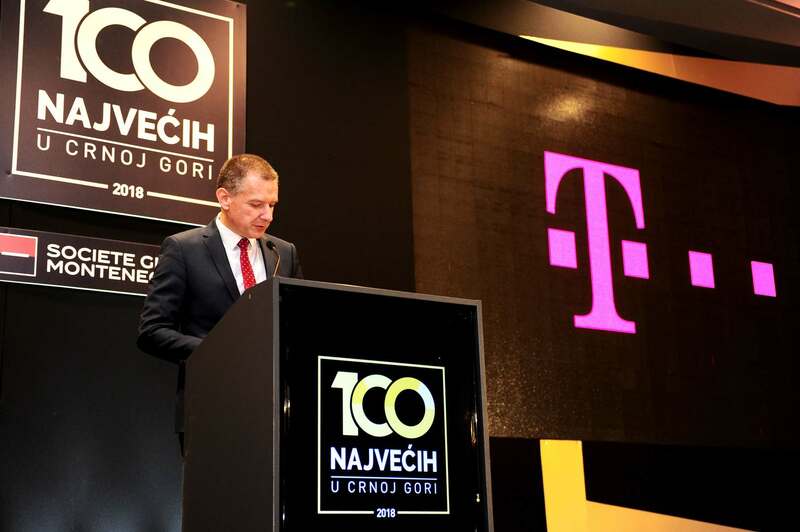 The companies are ranked by their revenues, profit and number of employees. 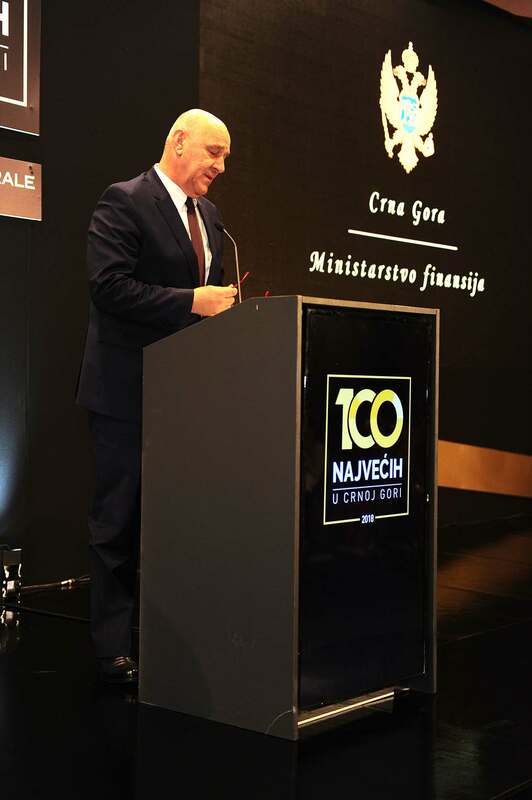 Bonus ranking by business sector. 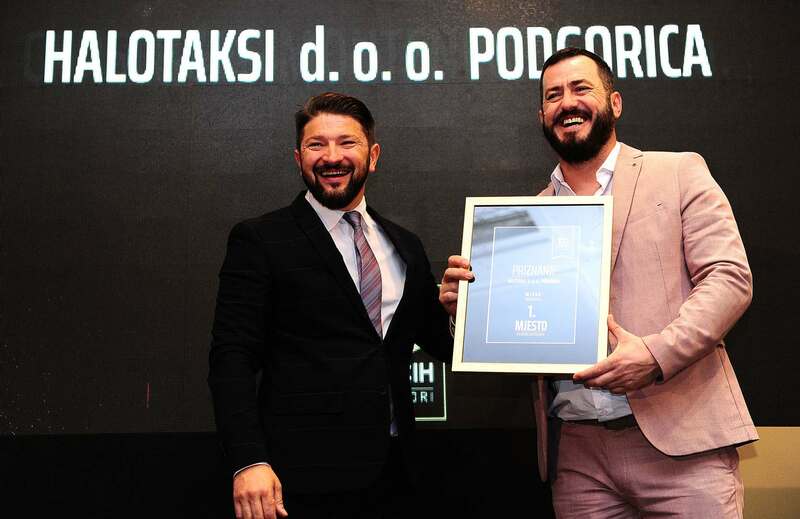 Ranking data, as well as overall IT support to the project, will be provided by BI Consulting, the leading provider of business and credit rating information in Montenegro. 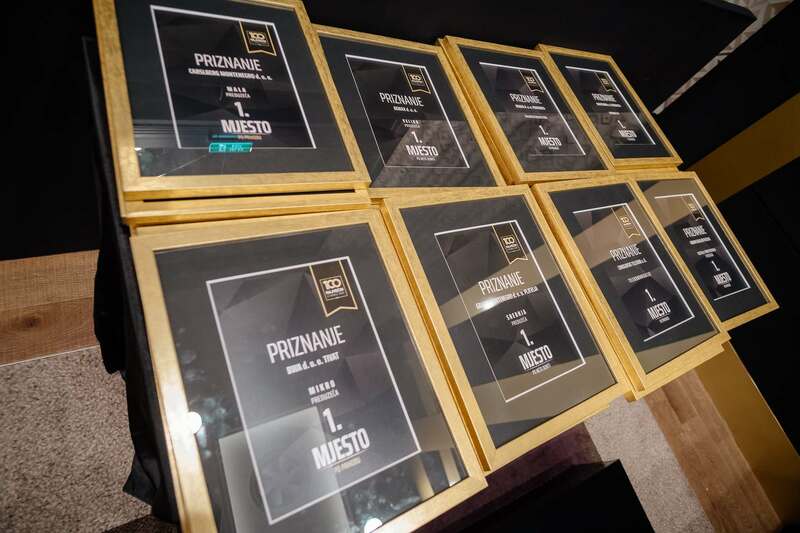 Now you can read which companies, large, medium-sized, small and micro, have been ranked among top 100 in Montenegro, by their revenues, profit and number of employees. 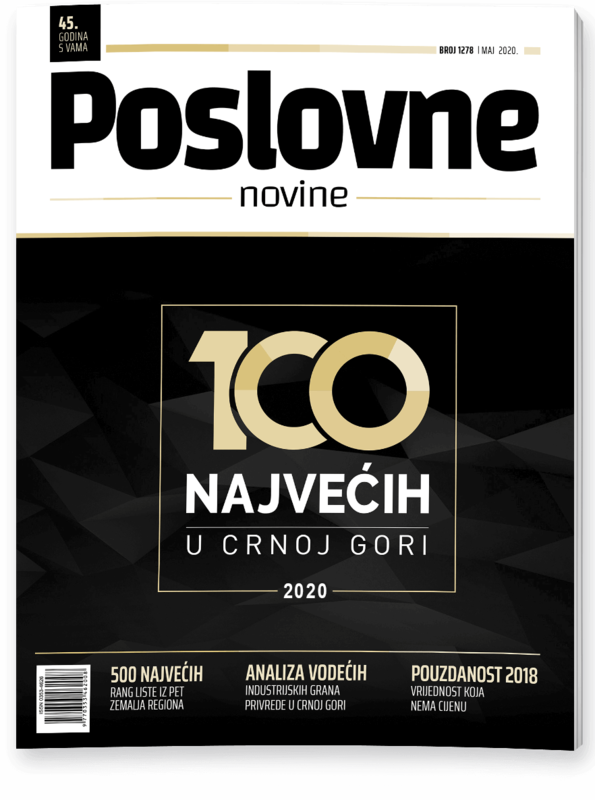 Order your copy of this unique publication that offers an overview of the Montenegrin economy in one place and find out which are 2018 top companies. 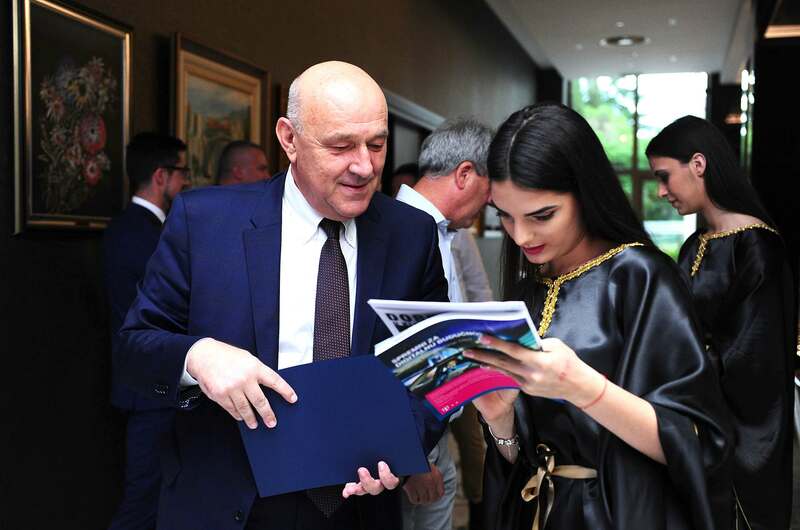 To companies that are bearers of the economic development of Montenegro, we offer an opportunity to present their values, products and services, with a detail profile of their company or announcements in the publication, in the form of PR texts, interviews, advertisements. 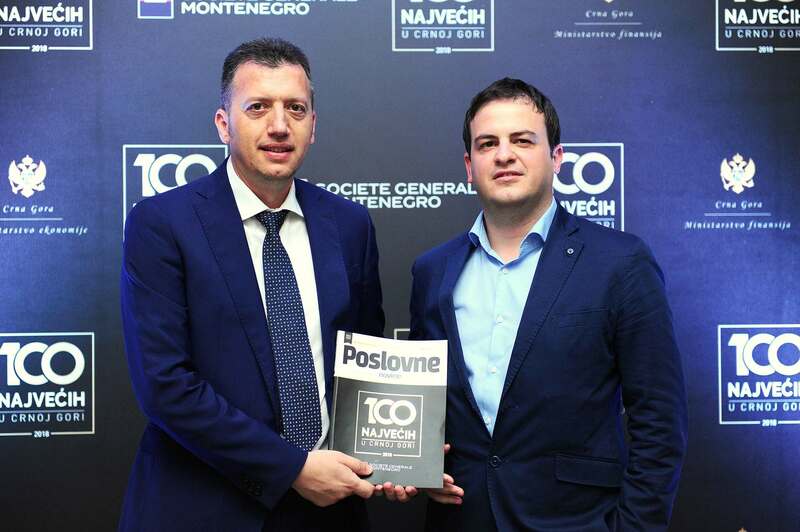 All companies ranked in the special publication “Top 100 in Montenegro” have the right to use the “Top 100 in Montenegro” stamp, which is also a way for them to send a clear and unambiguous message to their clients, business partners and broader community that they belong to the group of the most important companies in Montenegro. 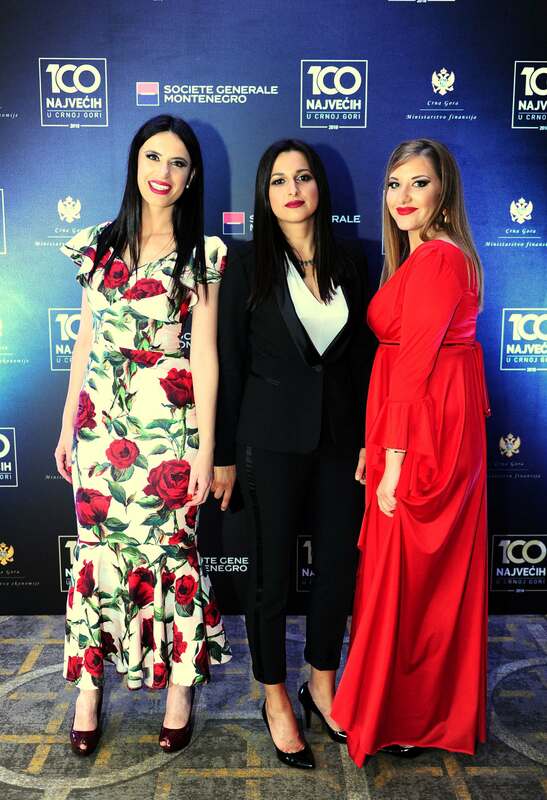 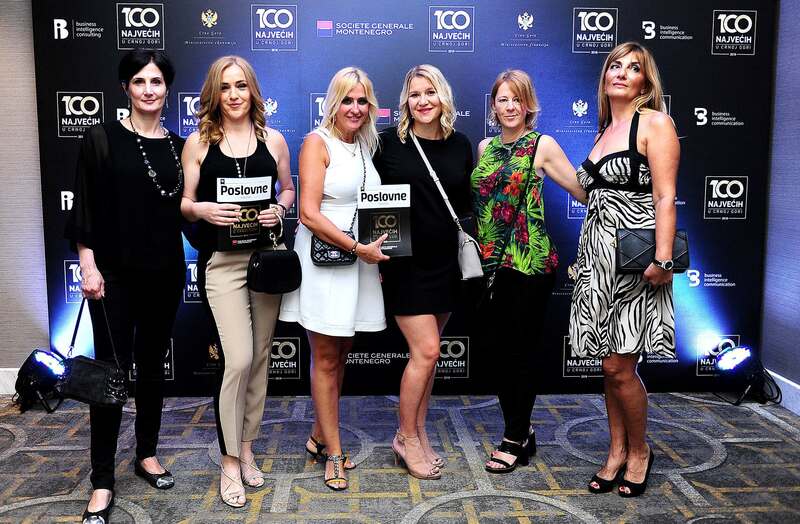 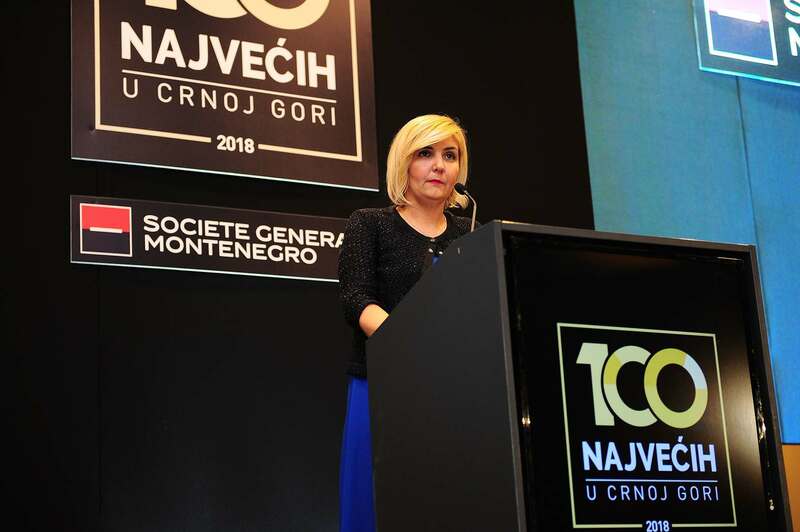 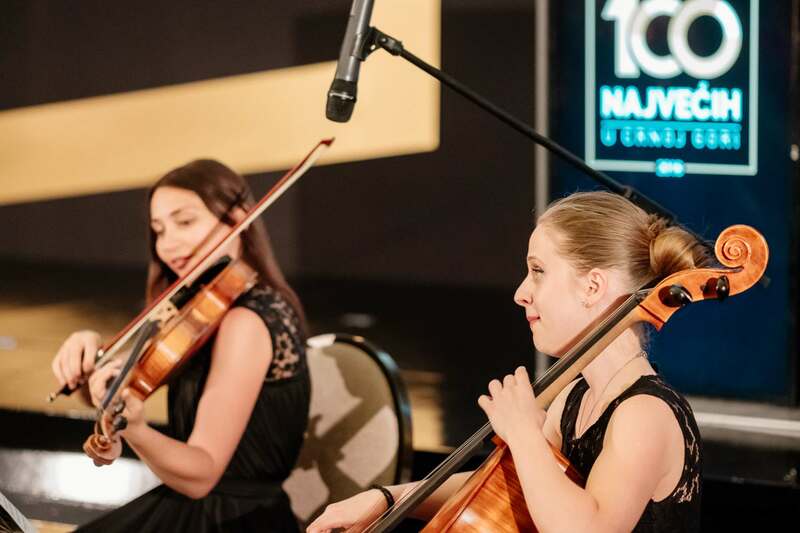 The gala evening “Top 100 in Montenegro”, to be held in May 2019 in Podgorica, will bring together 250 leading Montenegrin business people and owners, as well as representatives of the diplomatic corps. 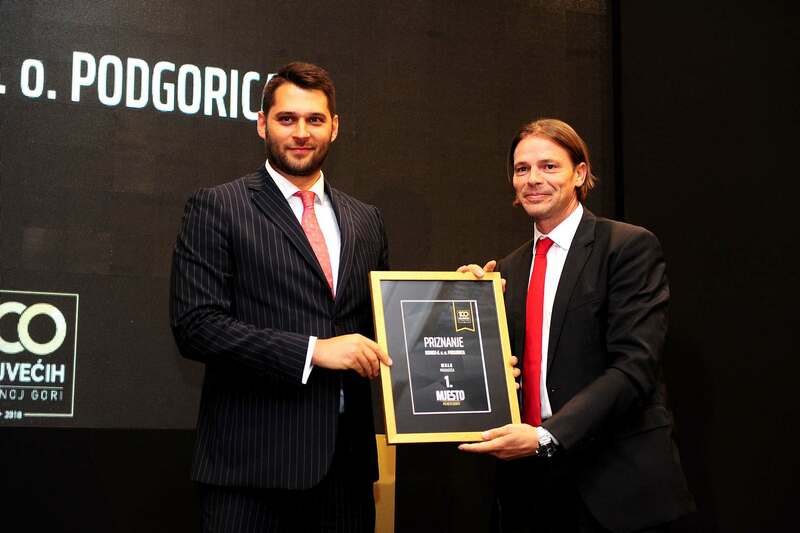 You belong to the “Top 100 in Montenegro” club and you recognise that Your place is among the best? 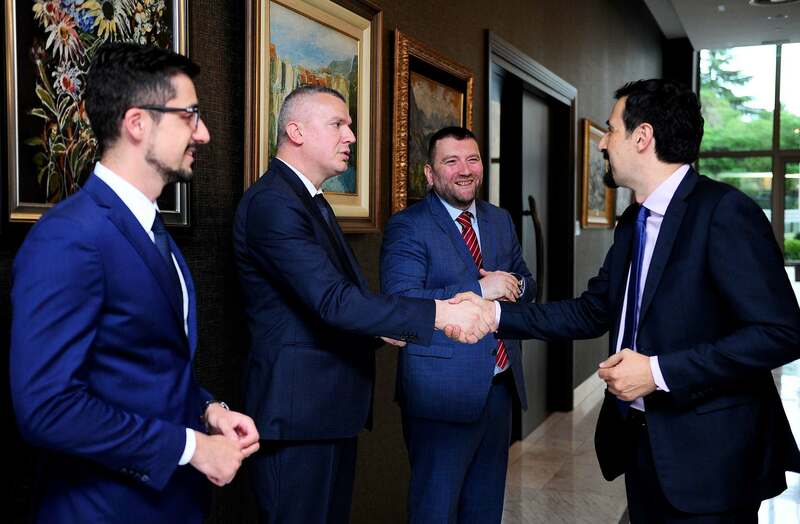 Now you have a chance to send genuine messages through genuine channels. 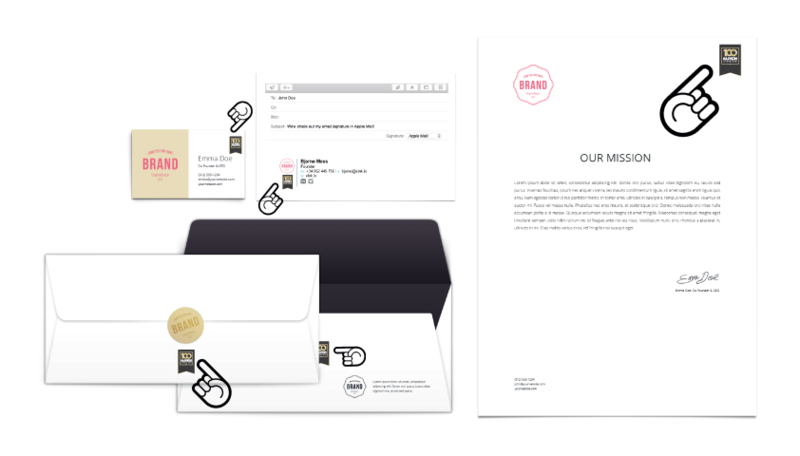 Thanks to your results, a credible source will talk about you. 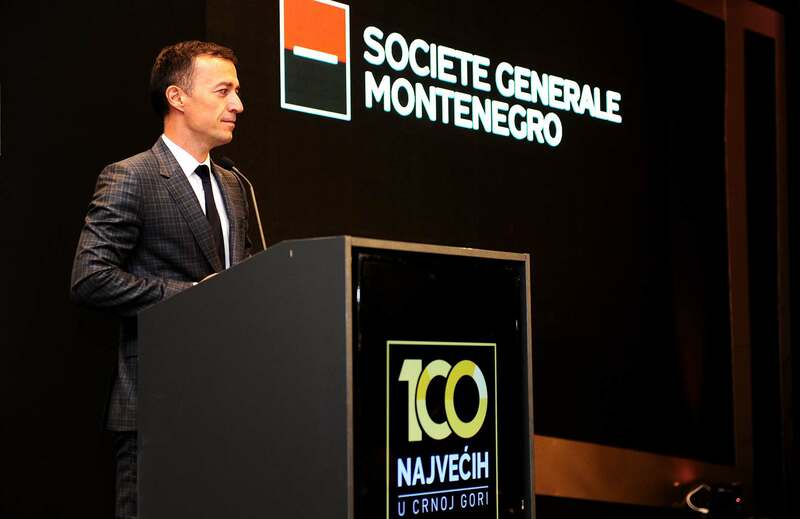 The project “Top 100 in Montenegro“ is implemented through the partnership between Ministry of Finance and Ministry of Economy, with support of Chamber of Economy Montenegro, with general sponsorship from the Societe Generale Bank Montenegro, exclusive sponsorship with Crnogorski Telekom and special partnership with Voli trade and Budvanska rivijera. 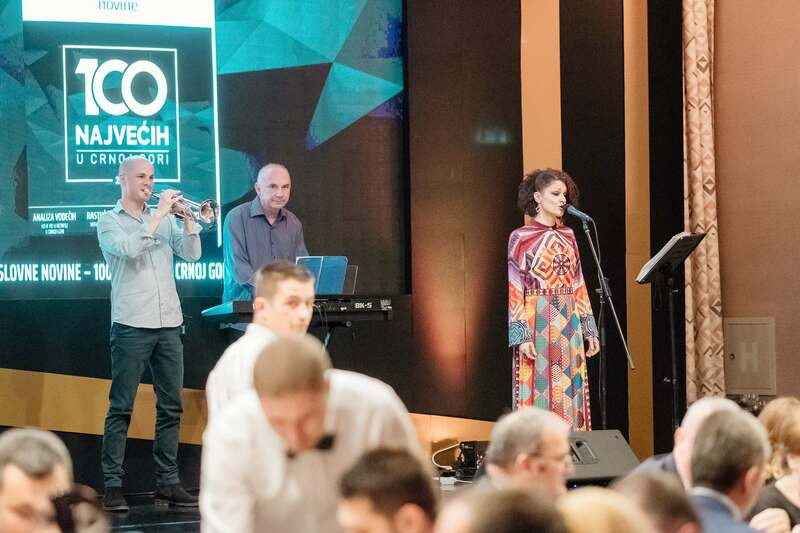 Golden sponsors are: Kalamper, Artemon, Ekonomik accountants, S-Leasing and Krušo. 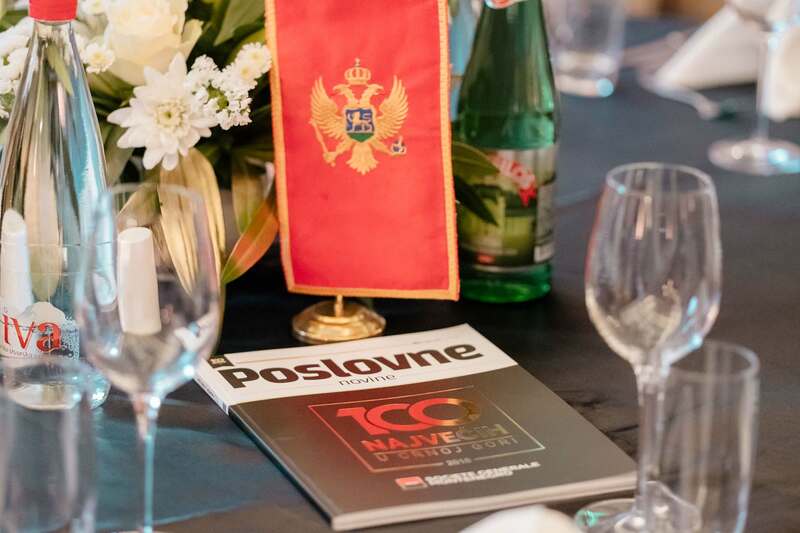 Silver sponsors are: Hilton Podgorica, Novi Volvox, Martex, Securitas, Benu, Electro team and Sincommerce. 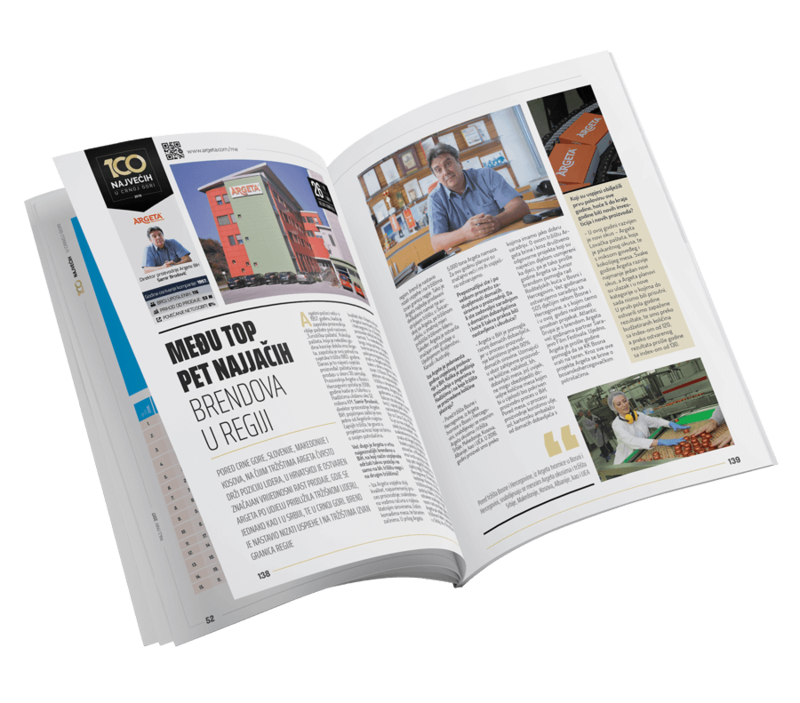 Friends sponsors are: D Photo Trade, Mezon, Via Paradiso, Matino, Entext, Dekra, Vukšić, Navar Incorporated, Okov, Cerovo, Home Systems, Gorenje, Drvomont, Tring, Comtrade Distribution, Čikom, Vib-Bas, Lukana, Mesna industrija Goranović i Prima S.
Media parters are: RTCG, Prva tv, Dan, DRS, bankar.me, Fos media, Arhimed and Elmag. 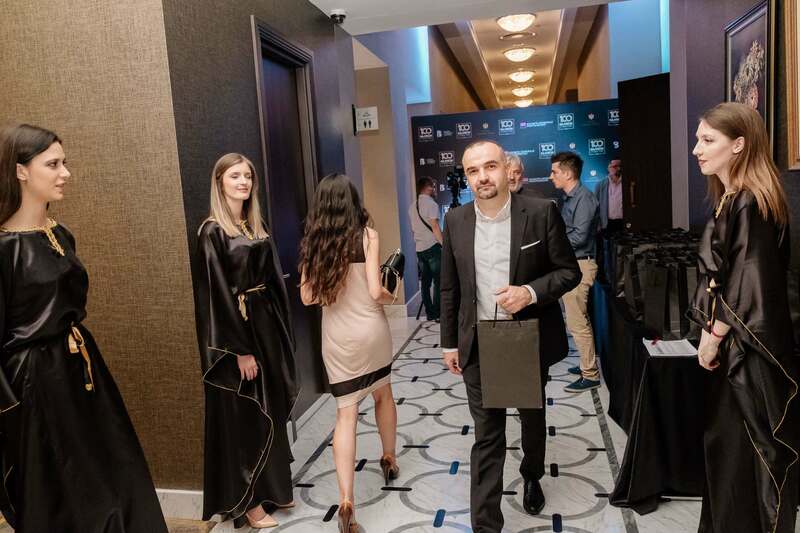 The data and analysis were provided by BI Consulting. 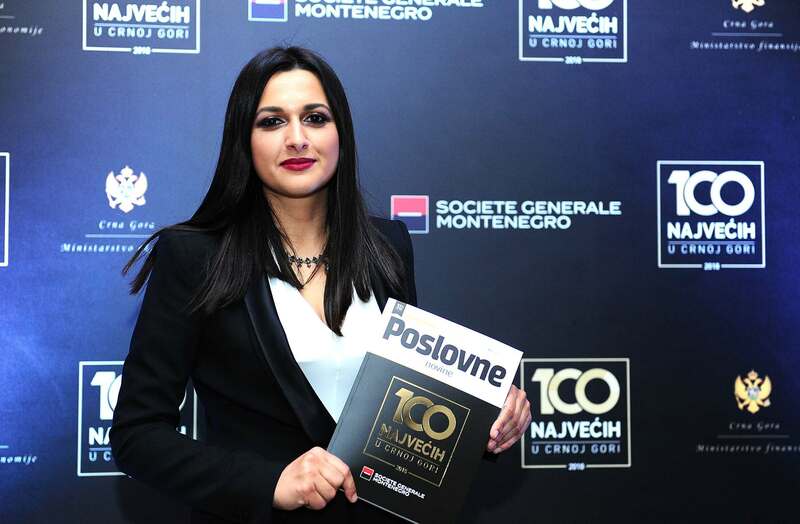 Sign up to our E-mail list in order to receive timely information about the project of the Top 100 in Montenegro.